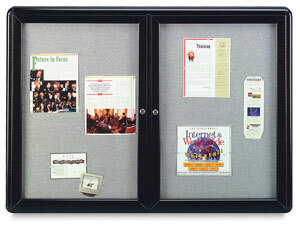 These tackboards have aluminum framing finished in black or gray. Choose your door style: hinged, shatter-resistant acrylic or sliding tempered safety glass. Both door options include locks. 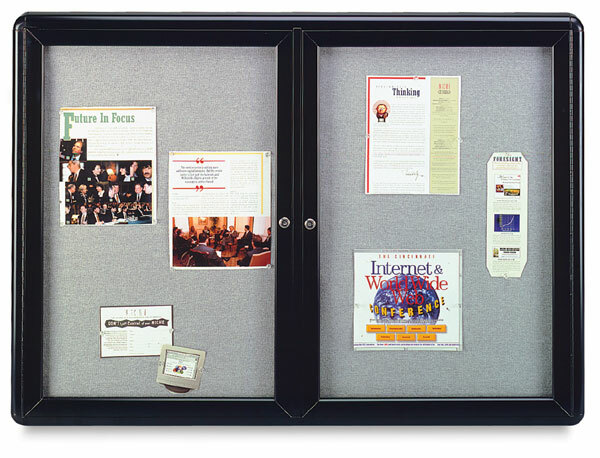 Tackable fabric surface is colorfast and will remain free from damage after years of repeated posting. ® Ghent is a registered trademark.